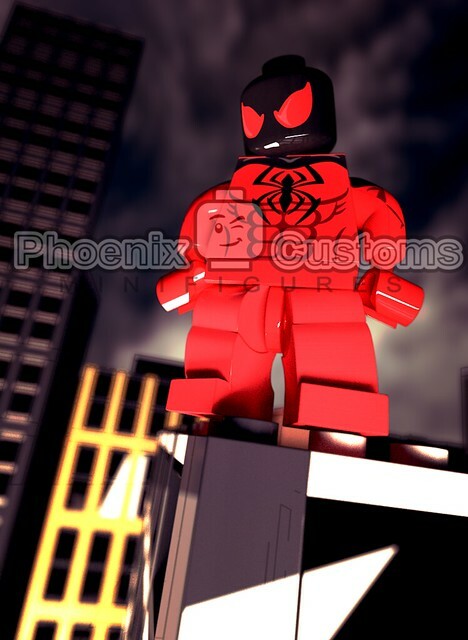 Here's our newest and upcoming custom minifigure, Crimson Arachnid. It's a custom designed figure, pad printed (just like LEGO) onto LEGO parts - with printing on the front head, front torso, arms, and back torso. Render is by HJ Media Studios. What do you guys think of our newest creation? Love to hear your feedback and thoughts!